If you've been following this travel blog (I hope!) or my lifestyle blog over at Celebrate Life Lah! for a while, you would've probably gather by now that I suffer from Tarzanitis (or Jane-o-philia if I'm a gal). This condition that increasingly inflicts chronic city-dwellers is symptomised by an urge to hug trees, chase wildlife and photographing every plant, animal and bug in sight. The perfect cure to this 'illness', I found, was a vacation at Gaya Island Resort. Even if the relief was only a short 5D4N stay, having the sapphire South China Sea for a front lawn and a lush, virgin tropical forest as my backyard, nature buffs like me are spoilt for intimate encounters with Gaia at the 5-star beach resort. 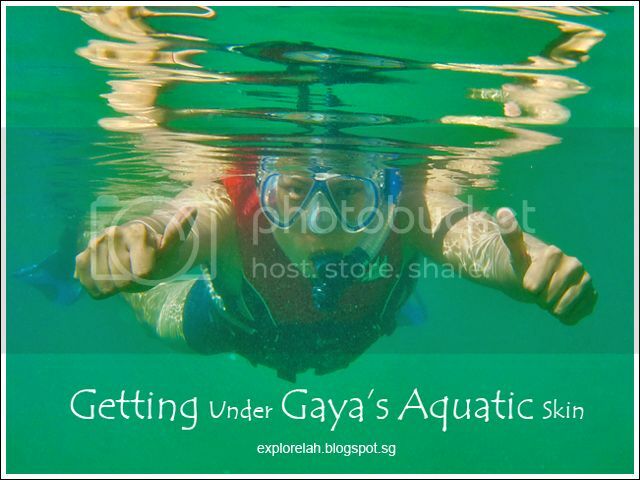 What's more, to help guests better appreciate Gaya's natural endowments, Gaya Island Resort organizes free forest treks and snorkeling sessions with its resident naturalist and marine biologist! 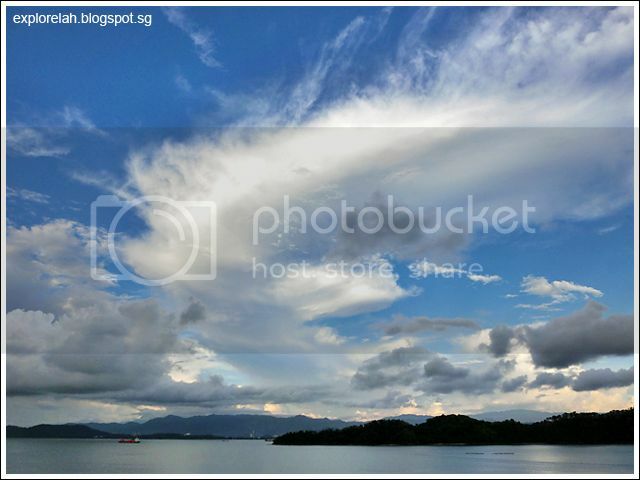 View of dramatic cloud formations over South China Sea from a hillside villa's balcony at Gaya Island Resort. It seems that nature comes here to play. Joining these complimentary activities is easy. Simply check the in-room Weekly Activities Menu and look for slots indicating "Nature Walk" and "Gaya Snorkeling Exploration" on the schedule and inform the reception of your participation. 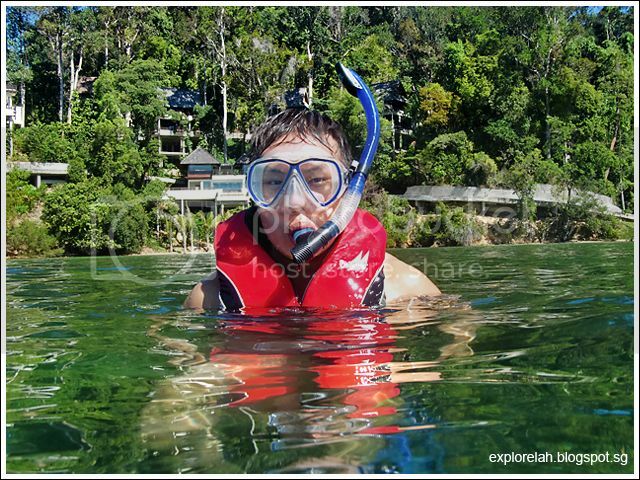 During my stay, the 2 activities were available daily with Nature Walk starting at 9am and Gaya Snorkeling Exploration at 9am and 11am. Although it is possible to complete both activities in one morning, we did it over 2 days to allow ourselves ample time to take in the sights and learn more from our guides. 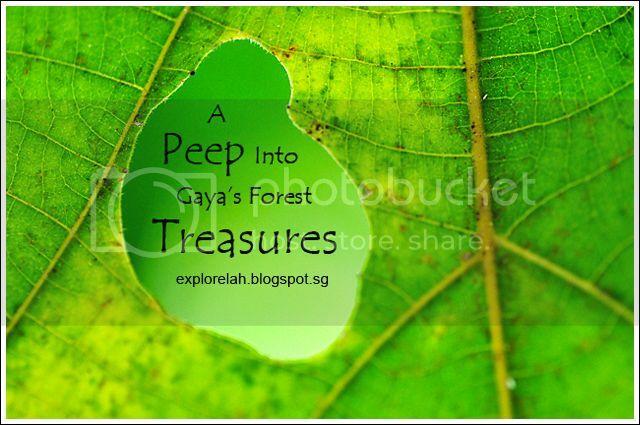 While the guides provided great insights into the natural environments and the creatures in them, there's no need to wait for them to show you the wild side of Gaya. Nature doesn't sit around and wait for you to discover here, they come at ya! Which is really great because each time I leave my villa, I anticipate the exotic wildlife that will scurry or fly across my path! 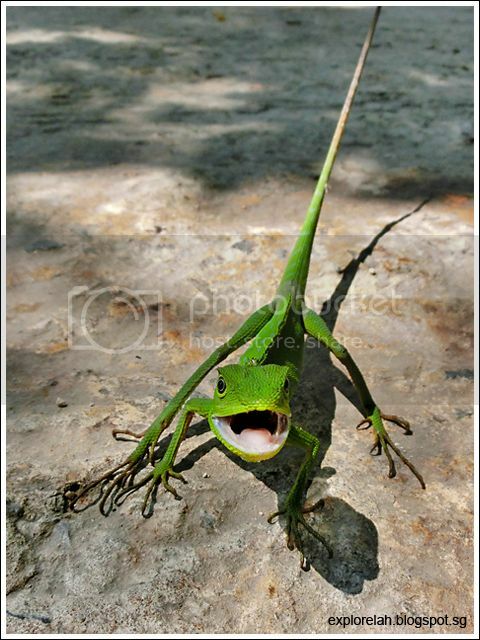 Spotted this brilliant Green Throated Lizard on a pavement near my villa. A resort staff caught it and was about to move it to a nearby tree but I asked for a shot before its release. I'm not sure if the little fella was saying "cheese" or "firetruck off"! Such poise! For a sight like this, I would usually have to travel far back in Singapore. But at Gaya, it's right at my doorstep! 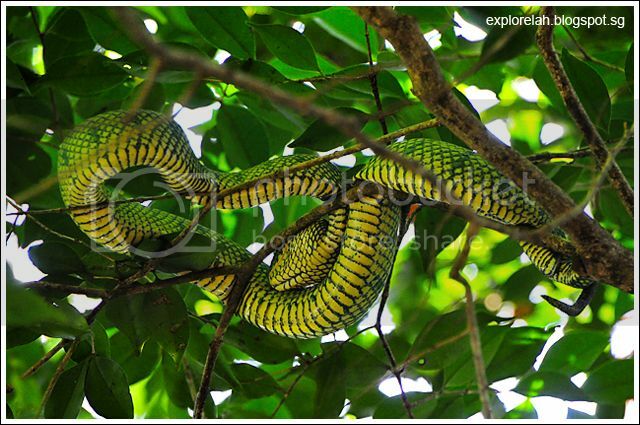 Also not far from my villa was this juvenile Green Tree Viper (a.k.a Bamboo Viper) which a resort staff picked up to be relocated further into the forest. If you're worried that these critters may come too close for comfort, there's really no need to. Staff seem to constantly patrol the villa grounds and relocate animals that may have wandered close to the living quarters. Most of the animals are docile anyway and more afraid of us than we are of them. I didn't know Cicadas molt to metamorphosize from a nymph stage into adults until this trip. When a young adult Cicada merges from its husk, its wings glow turquoise before hardening to a burnt brown. 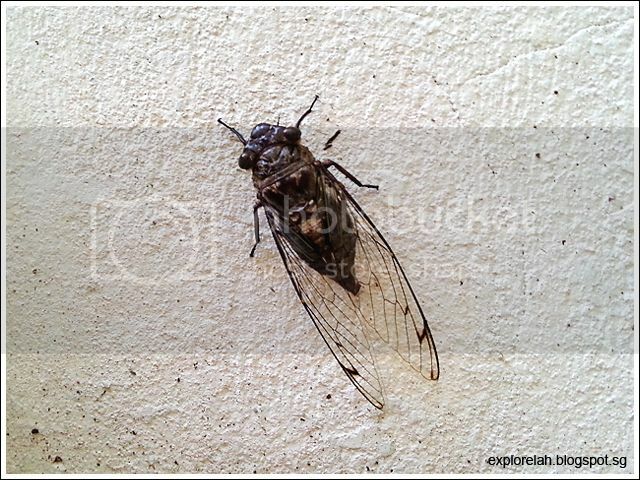 An adult Cicada on a wall outside our villa. So beautiful! But the 'song' from their tymbals can be loud and annoying if it decides to 'sing' at such a close range. 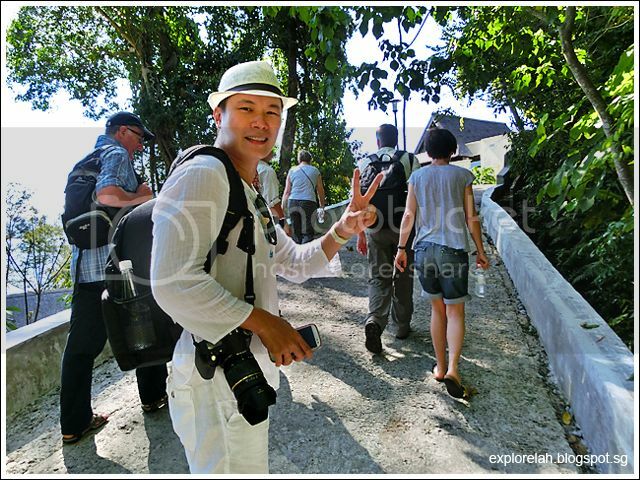 I can get lost for hours trying to spot forest critters and bugs amongst the green neighbouring my villa but a quicker way to see wildlife would be to follow Gaya Island Resort's resident naturalist, Justin Juhun, on a Nature Walk. 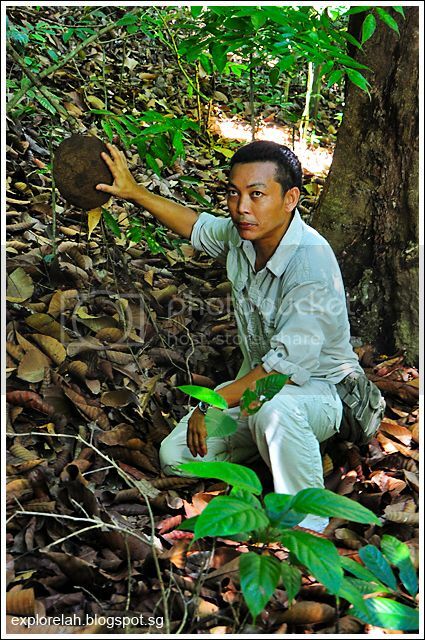 Even if you're not into nature and stuff, his passion, enthusiasm and knowledge about the forest would have you shouting orh-yee-orh (the sound Tarzan makes) in no time! A white apparition? Nah... wore white so that I can reflect light onto my subjects when photographing and all covered up to guard against the mozzies. 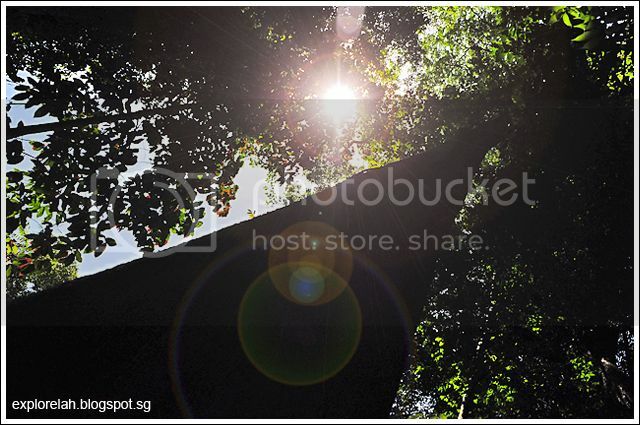 Insect repellent, closed-toes walking shoes and drinking water are a must on the walk. 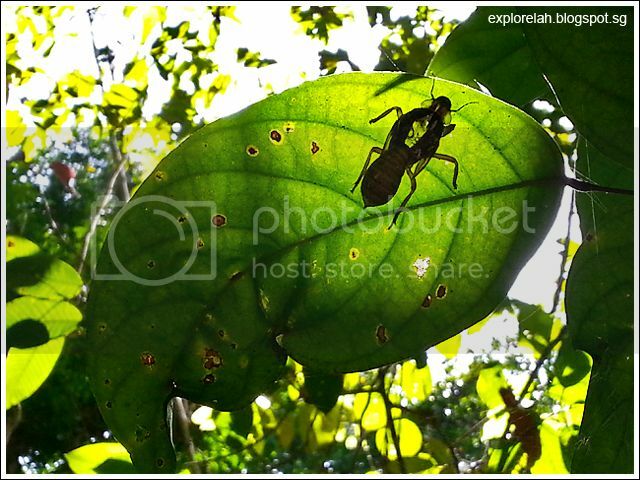 That's Justin trying to spot Stick Insects beneath large leaves. The whole resort is like a walk-in eco conservatory. 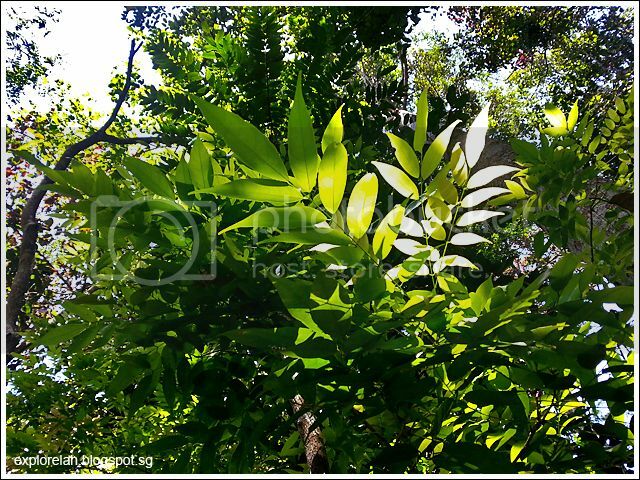 Departing from our concrete paths around the villas, we entered the dense forest. Compacted silt on the forest grounds suggest that Gaya used to be an ocean bed that had risen to form the island. There's our dashing bushman, Justin. His interest in nature started during childhood as his family owns an animal sanctuary. George of the Jungle came to mind. Where I would've broken both my legs if I tried, this guy skimmed through the uneven forest floor and climbed trees in a blink of the eye. 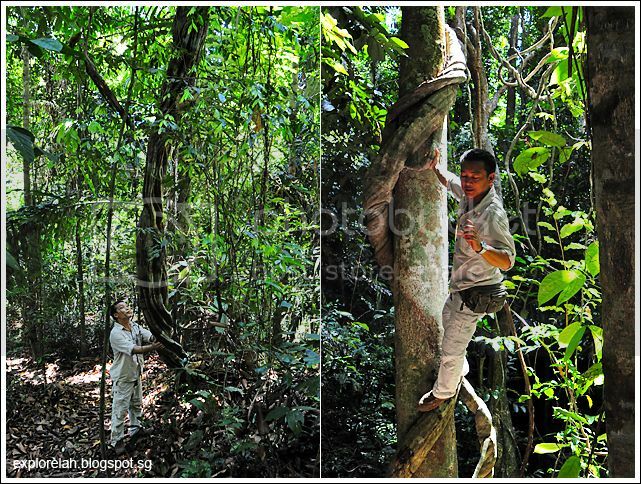 The Gaya forest is a living gallery of organic sculptures like this massive climbing vine. Suddenly, Justin stooped to the ground and hushed us. His eyes pricked up as he listened for the calls of the elusive Proboscis Monkey. 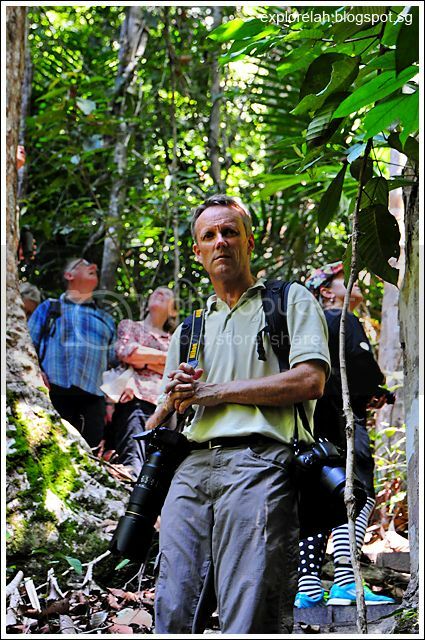 It came as a surprise that these endangered monkeys that are endemic to Borneo are found so far from the mainland. Luck wasn't on our side as we didn't see the monkeys. Justin is in the process of setting up a watch tower near the monkeys' habitat to study them and gain their trust before possibly leading guests there to visit the primates. Bowling anyone? 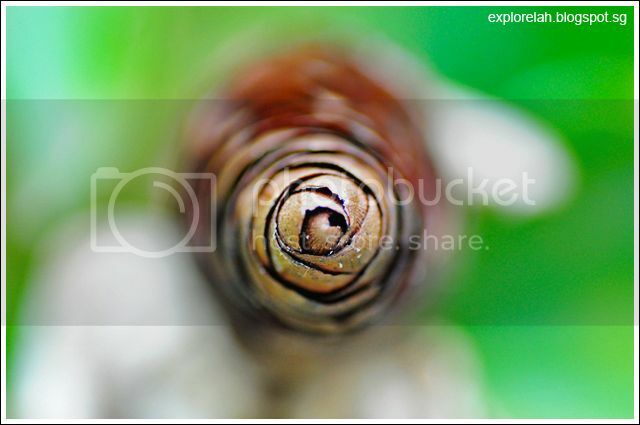 That's actually a Termite Ball. It is not a place of lodging for the crawlies but actually a clubhouse of sorts where the termites come to chill. 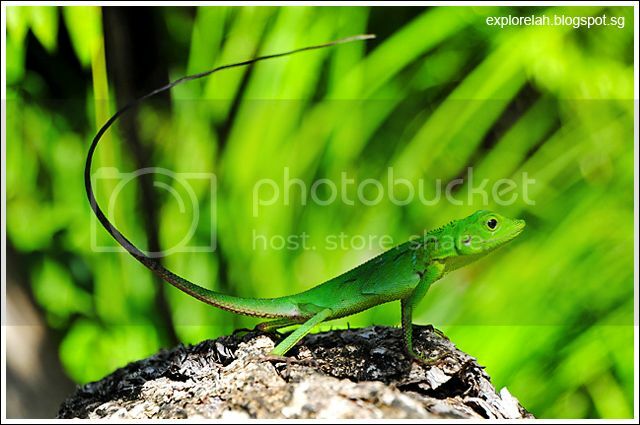 Forgot the name of this lizard in my excitement to photograph it. So awesome that it's looking my way! 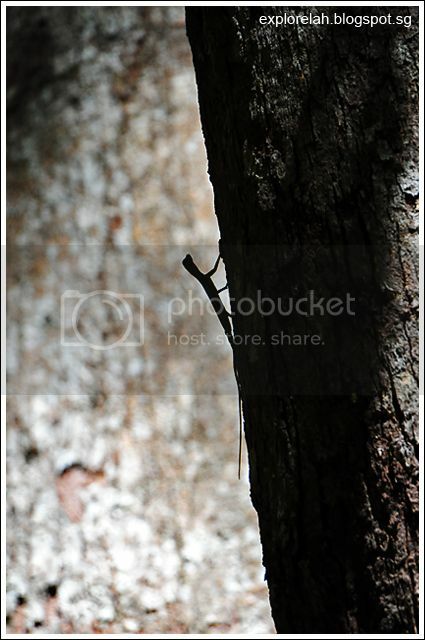 None of us saw it but Justin pointed out this Flying Tree Lizard from afar. It pays to have trained eyes to spot things that we would otherwise miss. 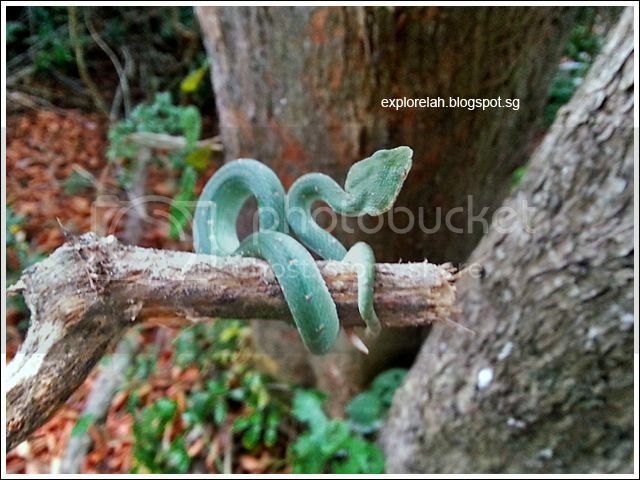 Remember the small Green Pit Viper earlier on? This is the grown up version hanging atop a tree. These vipers are hemotoxic so don't get too close. Their bites can destroy red blood cells and cause organ degeneration and tissue damage. Animals aren't the only things to spot in the forest. There are some pretty weird plants to look out for too such as the thorny stems of young rattan and this delicate bioluminescent mushroom. The forest is also a medicinal treasure trove with Reishi Mushroom, a.k.a. 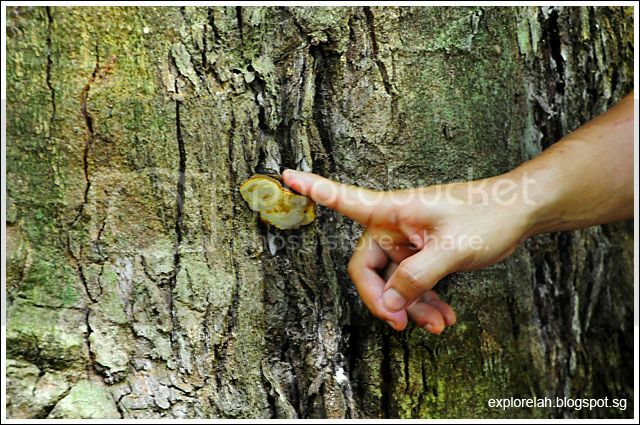 Lingzhi (ganoderma lucidum), growing here! This specimen is about 2 years old. Justin said there's another piece which is over a hundred years old but of course he didn't reveal its location. 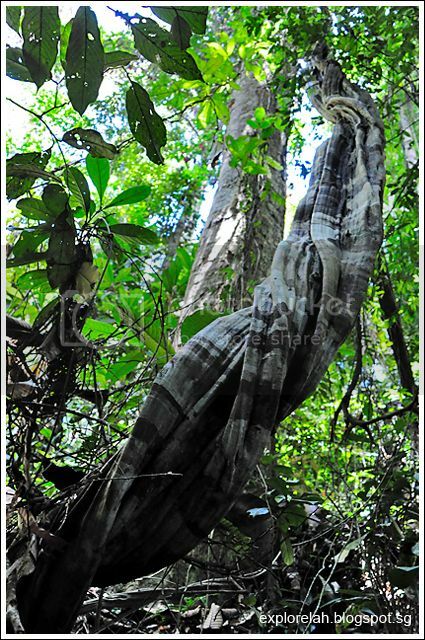 Guys would love this... they are the leaves of the famed Malay aphrodisiac, Tongkat Ali! 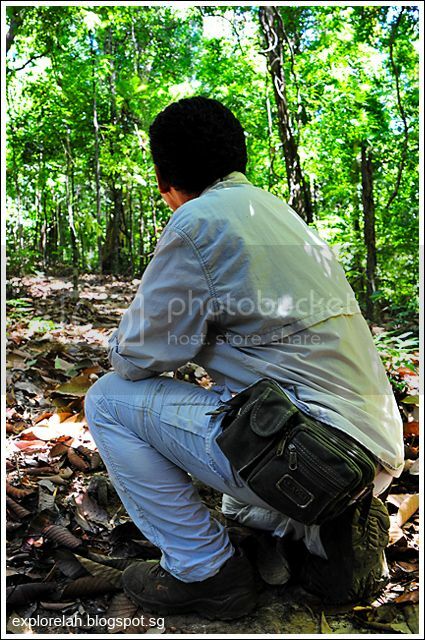 This gentlemen is a wildlife photography hobbyist from Switzerland. His cam gears made me swoon. Our Nature Walk lasted for almost 1.5 hours and I totally enjoyed it despite the heat and fine dribbles from treetops. "What are these trails of water streaming from the trees?" I asked Justin. "They are showers of blessings," he replied with a broad smile. The showers of blessings were in fact Cicada pee. 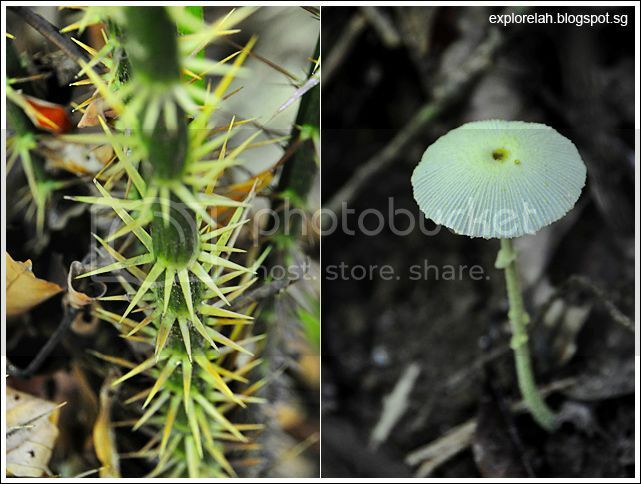 Brought a macro lens along and took some close-ups of the flora around the resort. 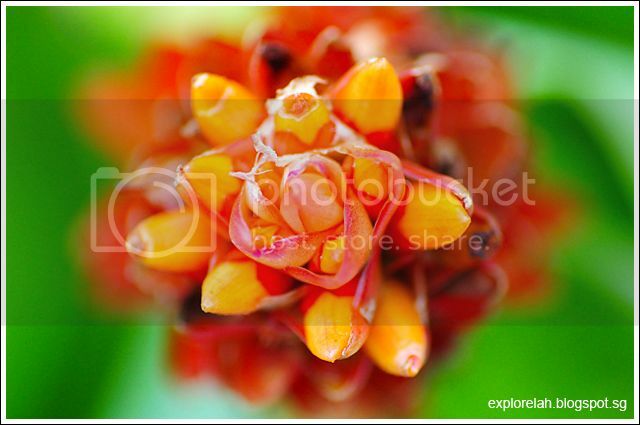 A Scarlet Spiral Ginger (a.k.a. 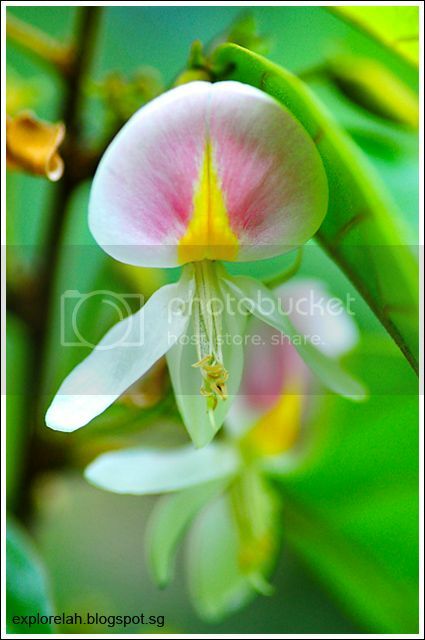 Lipstick Ginger) plant in bloom. And one that turned brown before it got a chance to flower. 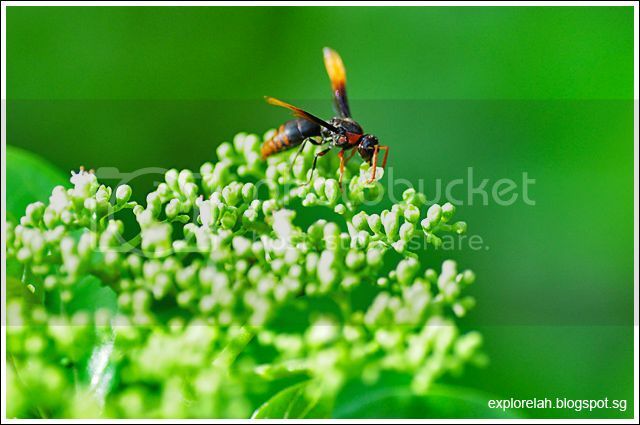 Followed this hornet across several bunches of florets before getting this shot. Enthusiasts of macro photography would be kept suitably occupied with the variety of insect and plant species to shoot here. 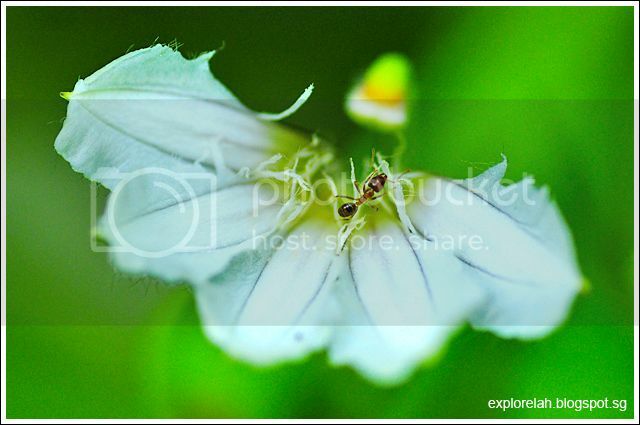 The Ant... I mean, The End of photos from Gaya's green offerings. 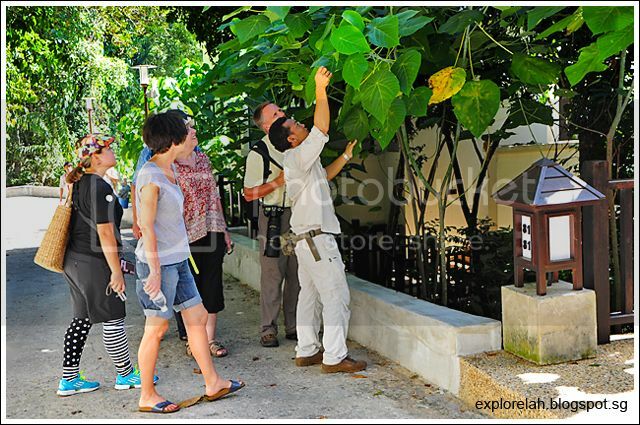 The Nature Walk is organised for all guests of Gaya Island Resort. 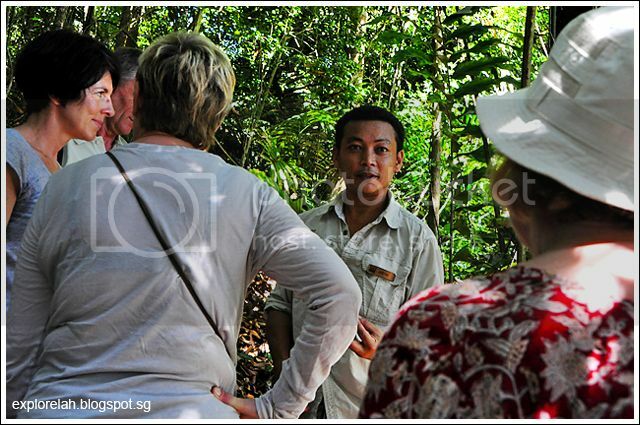 For a more exclusive exploration of the forest, Justin can be booked via the resort at RM150 per person in the group. After the walk, we caught up with Justin over lunch and found out more about his aspirations for conservation endeavours on Pulau Gaya. He also shared with us future developments such as a Proboscis Monkey watch tower and breakfast in the forest that resort guests may look forward to. But these developments must undergo extensive viability studies to ensure safety for the forest dwellers and guests. During the no holds barred chat, Justin disclosed that his ultimate dream is to have his own wildlife reserve park so that he can protect and fulfill his love of Sabah's natural heritage. I hope his dream comes true and I get to be invited to join him in exploring his reserve one day! 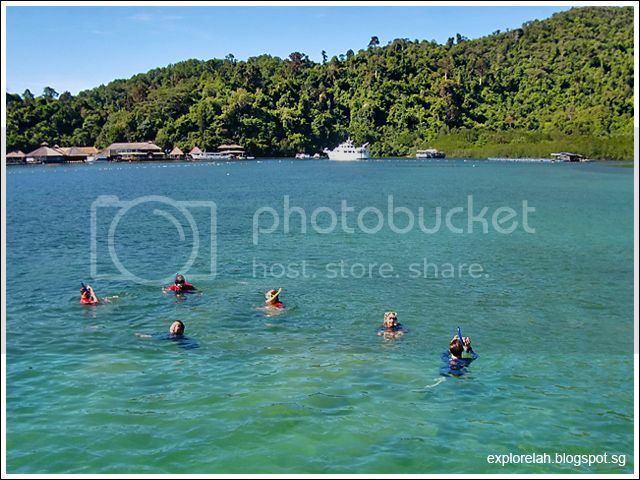 After the Nature Walk, we dived, well, float over to Gaya Snorkeling Exploration the following morning. 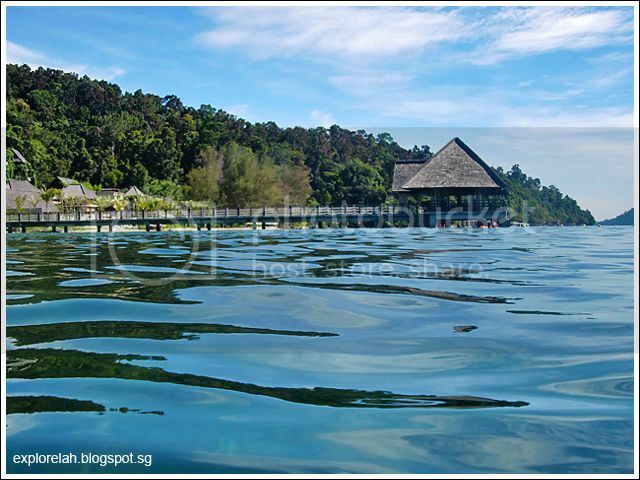 As Pulau Gaya forms part of the Tunku Abdul Rahman National Park, its marine ecology enjoys protection, which translates to pristine water conditions and unspoilt coral gardens. Furthermore, tourism developments on the island are limited to private resorts so the reefs do not suffer from human erosion. From the moment we arrived at the jetty of Gaya Island Resort, Juliana and I were over the moon at the transparent waters teeming with fish. 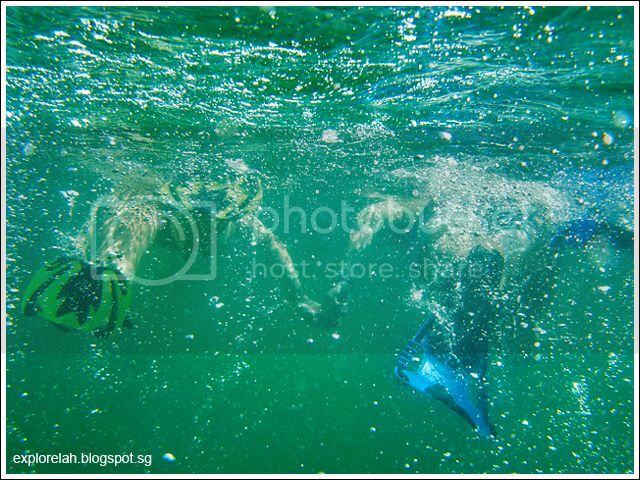 However, on the day that we went snorkeling, the sea got rather cloudy as it rained in the evening before. When it rains, sediments get washed into the sea and causes visibility to dip. Such a pity. 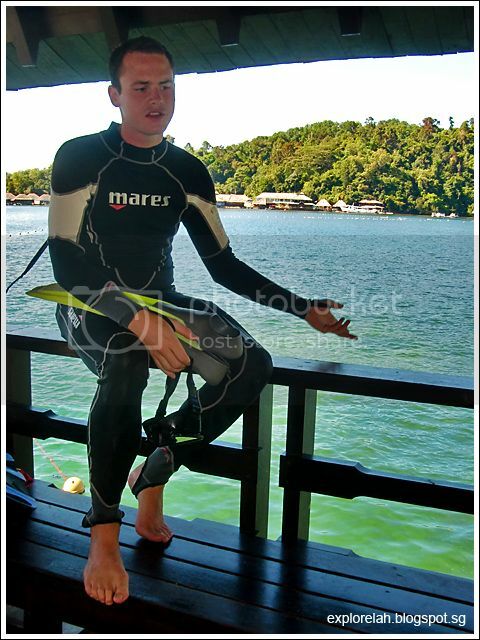 Our snorkeling session was hosted by Paul, an aspiring marine biologist who's interning at the resort. We didn't need to take a boat out to some faraway place to snorkel and basically just descended the depths at Gaya Island Resort's jetty. A pair of young honeymooners collecting memories. 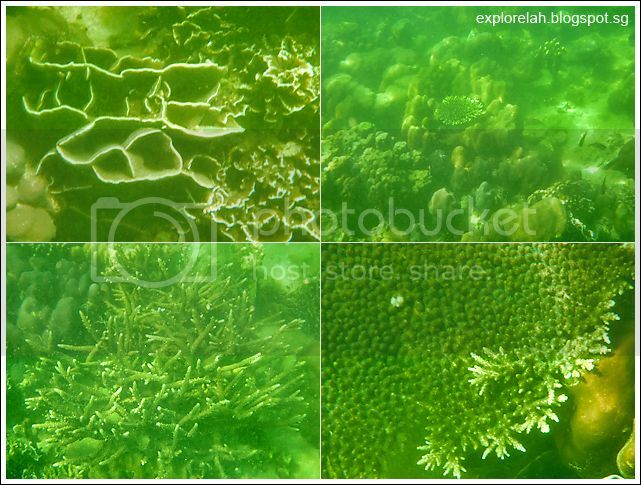 Although visibility wasn't great, the thriving coral-scape is undeniable. 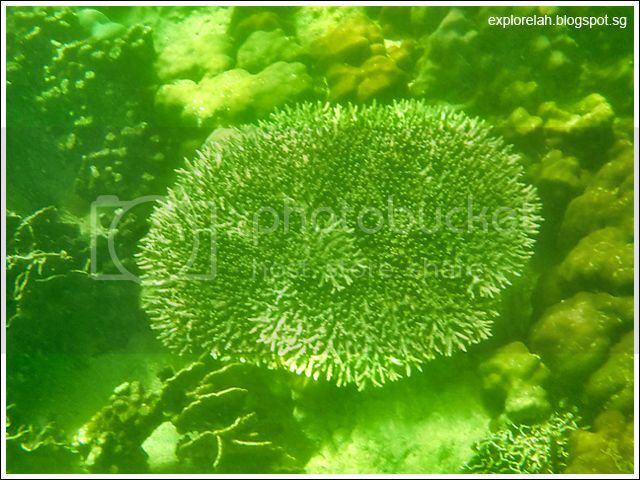 The sandy bed is littered with Maze Corals, Staghorn Corals, Compact Corals and Fine Table Corals. 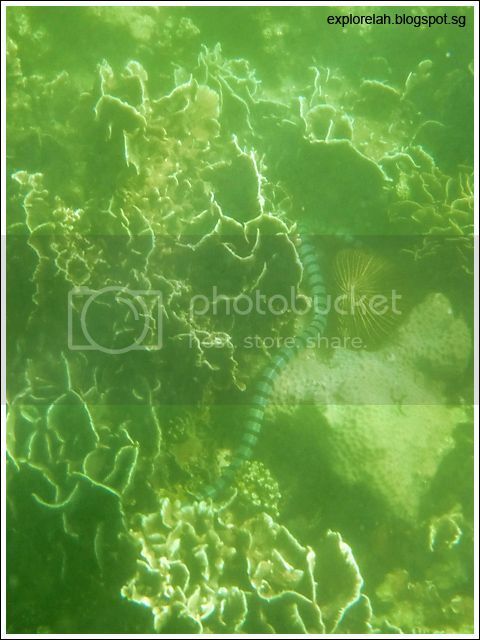 Fine Table Coral in full view. 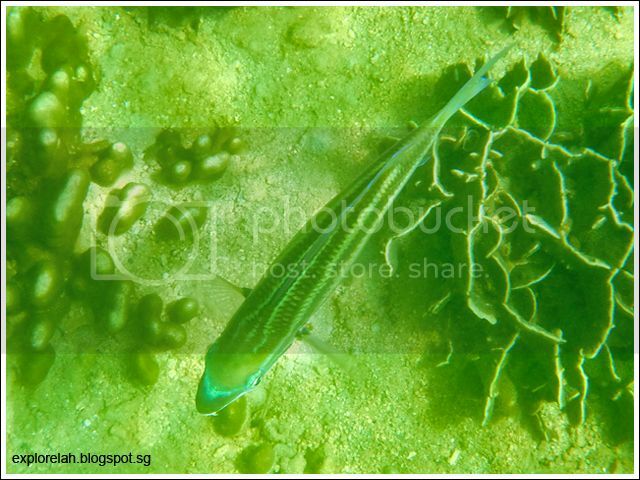 An occasional school of Parrot Fish was spotted along with some smaller swimmers whose colours were dulled by the foggy waters. A slither of shocking blue caught my eye. My heart raced as I followed it between the coral crevices. 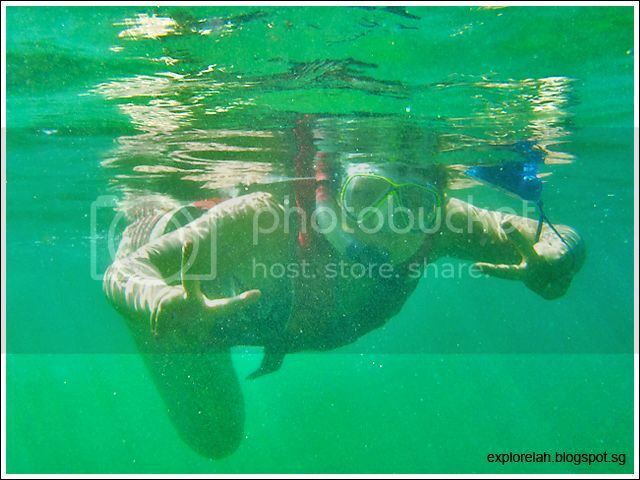 Then it swam up to the surface to catch a gulp of air. 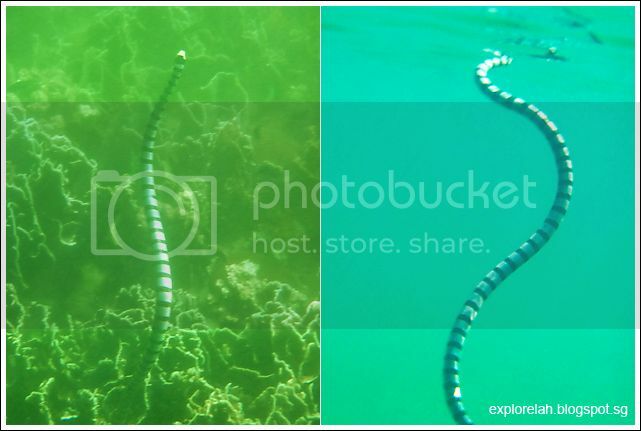 It was the highly venomous Blue-Banded Sea Snake! Thankfully, these snakes are very docile in nature and rarely attack humans. 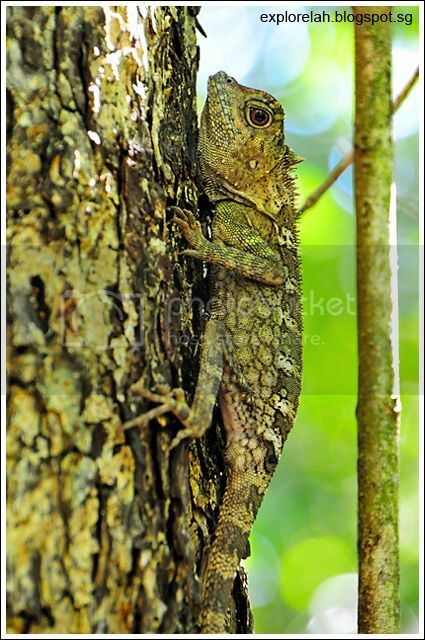 Moreover, it has a very small mouth with jaws that cannot unhinge like the land snakes do so even if it bites, its mouth can only fit in the webbing between fingers or earlobe. To think I was less than 50 centimeters from it was nerve-wrecking and thrilling at the same time! And may I introduce you to the Alien Dugong with slitty eyes. View of Gaya Island Resort's jetty. 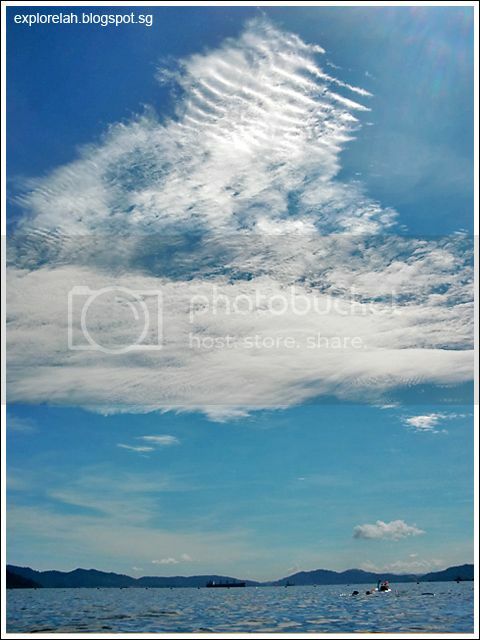 Started this post with a photo of clouds viewed from the hill and ending it with another photo of interesting cloud formations viewed in the waters. As the Chinese saying goes, Pulau Gaya 有山有水 (got mountain, got sea)! Although the coastal reef wasn't as vibrant or interesting (other than the encounter with the sea snake) as I imagined it to be perhaps due to the water conditions that day, the snorkeling experience still make for an educational swim with Paul pointing out facts about the reef ecosystem and its fragility. For me, Pulau Gaya offers a really unique experience to commune with nature where I can access the greens and blues without having to sit in van or boat for hours. 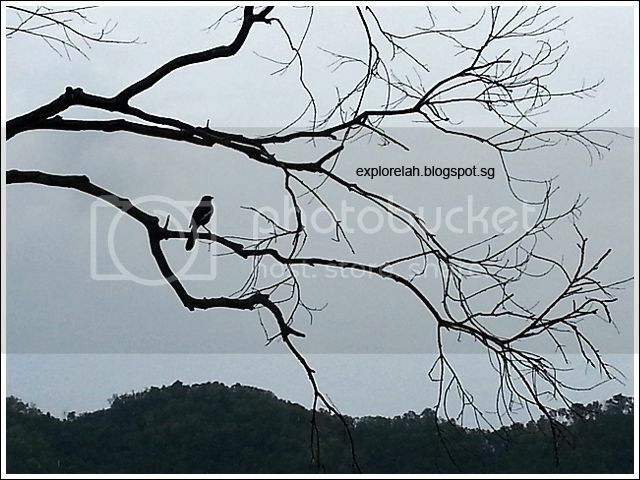 It is indeed a paradise for nature lovers and good medication for Tarzanitis.